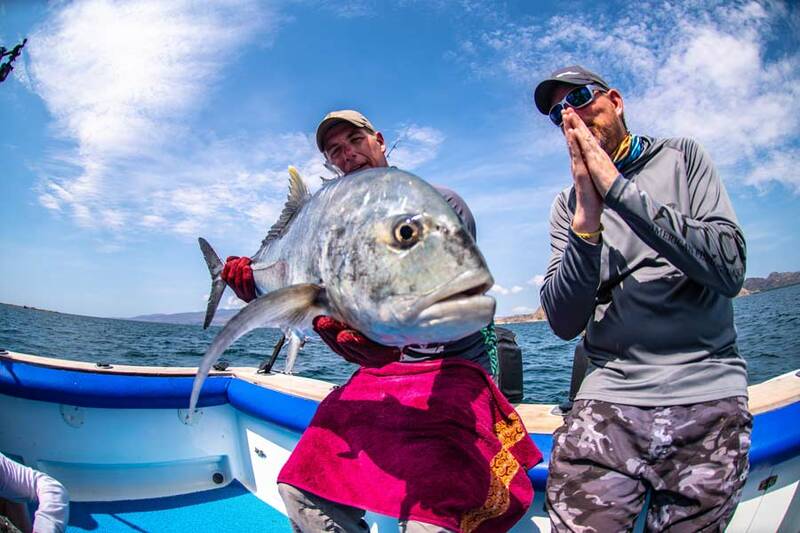 The author with a giant trevally caught with spinning gear from a boat. Try as he might, he couldn’t spot one from shore. heat of Indian Ocean sun? According to the guide, this part might be the first to ever cast a fly in these waters. 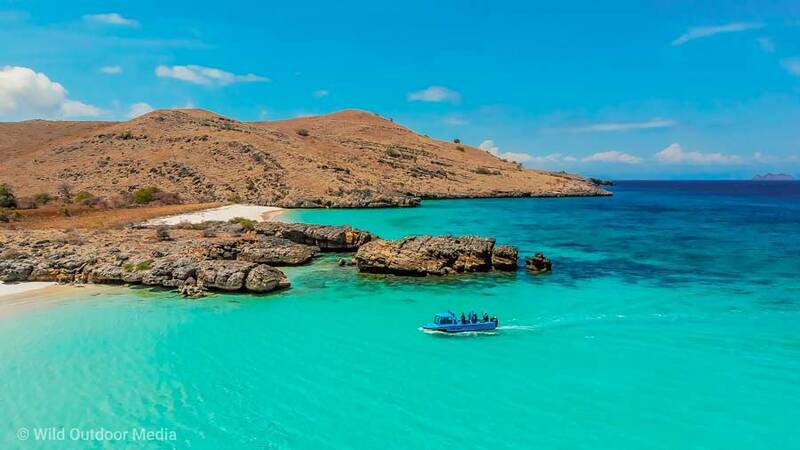 This is Indonesia—a nation made of more than 17,000 islands (no one knows the exact number)—and these images were taken at one its greatest spots, Komodo. 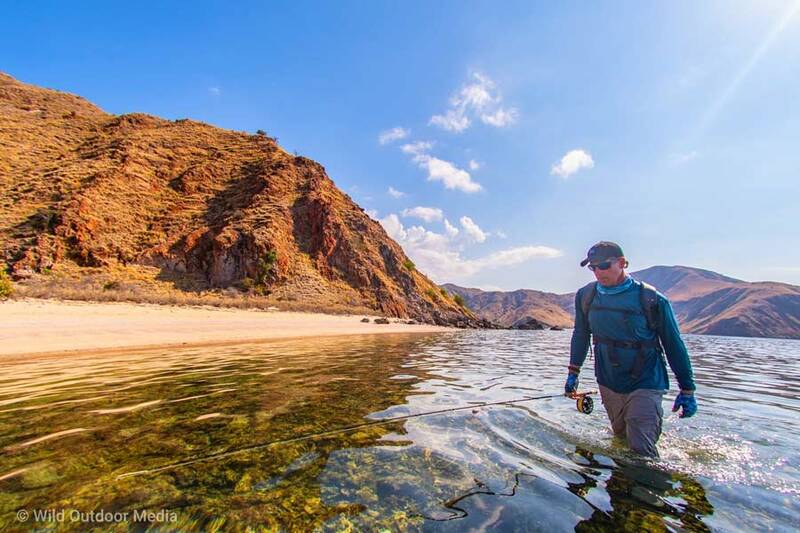 Yes, that Komodo Island—home of man-eating lizards. And I was lucky enough to fish its waters while shooting an episode of “Reel Bragging Rights” with my dear friend, Jim Root, an amazing angler and host of the show. For some reason, there were a few folks not willing to get out of the boat . . .
which made the boat-sitter’s decisions seem all the wiser. A 12-weight was the fly rod of choice. That reptilian traffic keeps fishing pressure light to nonexistent. 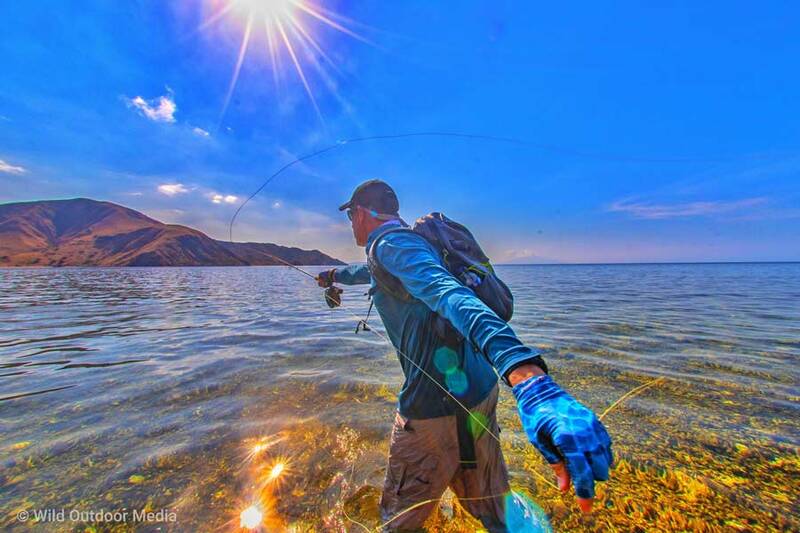 We were told by our guide, Reza Amerta, that we were actually the first anglers ever to cover this beach with fly rods. As an angler, it was truly a “Neil Armstrong moment.” Simply unforgettable, and truly life-altering. Reynolds Wolf is an on-camera meteorologist for The Weather Channel and an avid fly fisherman. 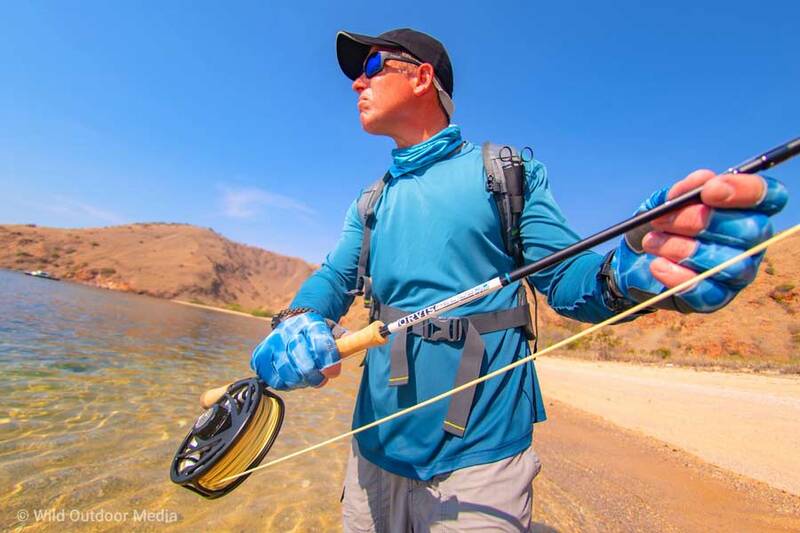 He was in Komodo for an episode of Reel Bragging Rights on the Sportsman Channel. 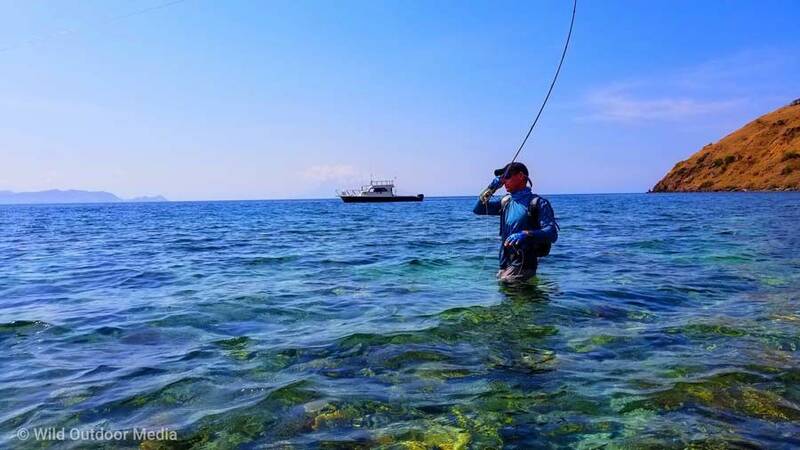 Wading where no fly fisher had waded before . . . .
With one eye toward the monsters roaming the shore, the author casts on a huge flat. Blue trevally, triggerfish, snapper, and grouper all came to the fly. But no GTs. The only way to catch GTs was in deeper water, from the boat.